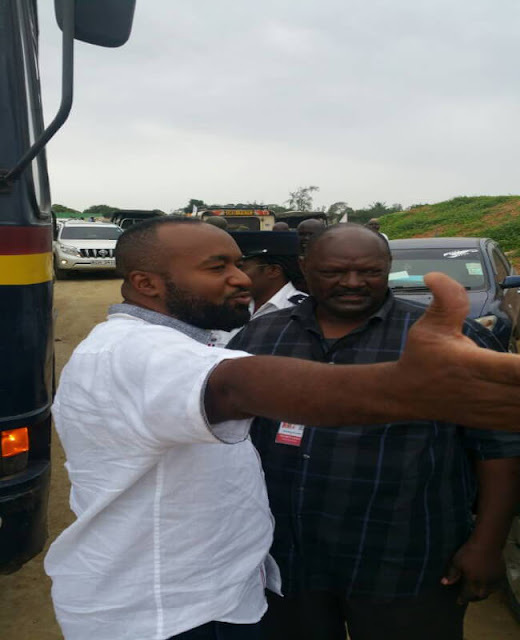 Hassan Joho brutal attacked by GSU and blocked from attending the Presidential SGR launch at Mirirtini. - Bana Kenya News, Real African Network Tubanane. Home featured Mombasa Hassan Joho brutal attacked by GSU and blocked from attending the Presidential SGR launch at Mirirtini. 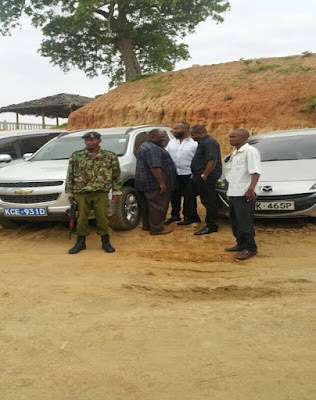 Hassan Joho brutal attacked by GSU and blocked from attending the Presidential SGR launch at Mirirtini. The Mombasa Governor Hassan Ali Joho was blocked today morning at Miritini when he was heading to the SGR presidential launch. The Hassan Joho alleged brutal attacked by the GSU officers at Miritini. The troubles come after a week when he said that he will ask the president about the 100 Billion whereabouts of the SGR money. The government spokesman Eric Kiraithe yesterday said that he will be free to attend the function. GSU officers were ordered by the Inspector General of Police Joseph Boinnet to block him as also ordered by the state officials. Mr Joho had on Monday threatened to stop SGR's launch for what he termed as "exaggeration of the project's budget by over Sh100 billion". "The project was to cost not more than Sh200 billion but the Jubilee government is telling us it has cost more than Sh300 billion. We deserve answers before the launch," he said in Siaya. The Orange Democratic Movement Deputy Party Leader accused the Jubilee administration of "oiling the wheels of corruption at the expense of service delivery". "If they think they are going to get away with the SGR, the same way they got away with NYS after swindling our money, they are daydreaming," he said. He claimed Jubilee was taking credit for the mega project that was initiated during the Grand Coalition Government under former President Mwai Kibaki and former Prime Minister Raila Odinga's leadership.